This 20-story, white brick building offers many corner windows because of recessed bays on both the avenue and the sidestreet and two setbacks on the top five floors. Built in 1957, the 195-unit building was converted to a cooperative in 1984. Although the building is only a block away from the downtown entrance to the FDR Drive at 79th Street, its location is quiet and elegant at the base of East End Avenue. It has an attractive and spacious lobby and apartments on the upper floors have interesting views. 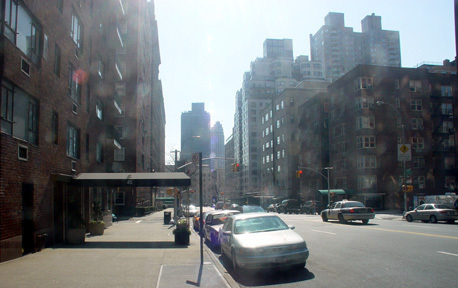 The area is popular with families because of its proximity to Carl Schurz Park several blocks to the north and to some of the citys best schools such as Chapin and Brearley.